Get knitting in no time with Big Needles, Chunky Knits and learn to knit chunky jumpers and jackets for every occasion with super fast results. With over 20 stylish chunky knitting projects including ponchos, cardigans, sweaters, hats, and legwarmers, Big Needles, Chunky Knits is the most inspirational guide to giant knitting. 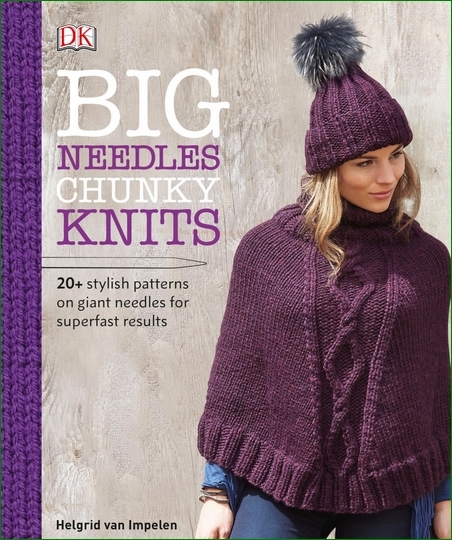 Big Needles, Chunky Knits is perfect for people of all knitting ability, whether you’re a knitting novice or a seasoned stitcher. From clear step-by-step instructions on how to knit the perfect jumper to beautiful photography of the finished project, Big Needles, Chunky Knits is with you every stitch of the way.